Bandaranayke International Airport (BIA) Arrival Terminal has some duty free shop selling Electronics and other commodities. All duty free shops do undertake advance order by email or call prior to your arrival and available your required electronic or cosmetic products at arrival terminal duty free shop. 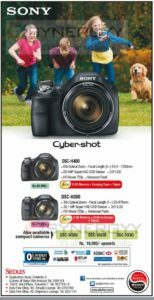 Siedles is an authorized agent for Sony products in Sri Lanka announces their special prices for the Sony Cameras. Sony DSC-H400 is a wonderful camera for startup photographer of events, travels and wildlife. Its cover from the range of 24.5mm to 1550mm focal length and 63x Optical Zoom with 20.1 MP Super HAD CCD Sensor . This camera comes with 3.0” LCD display and HD Movie 720p and Advanced Flash option. All in Rs. 65,990/- would be the good investment for a startup photographer. Sony DSC-H300 is a good camera for startup photographer of events, travels and wildlife. Its cover from the range of 25mm to 875mm focal length and 35x Optical Zoom with 20.1 MP Super HAD CCD Sensor . All in Rs. 41,990/- would be the value for money for a startup photographer. 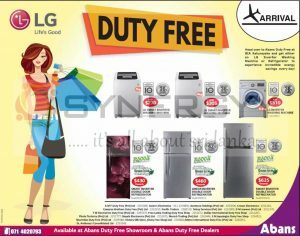 Abans announces a special promotion for the LG air conditioner for Rs. 99,900/- upwards with 2 years warranty with 6 free services. Buy a Split Type Air Conditioner & get a Mini Bar FREE!!! Buy 1 Inverter AC & get a 23″ LED TV FREE!!! Buy 2 Inverter ACs & get a 220L Refrigerator or a 140L Freezer or a 32″ LED TV absolutely FREE!!! 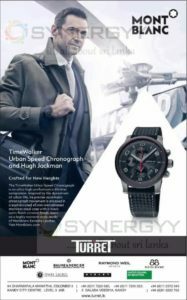 The Montblanc TimeWalker Urban Speed Chronograph captures the energy of metropolitan life, where time itself seems to accelerate – measured in flawless precision by the chronograph complication. The 43 mm case made of cold-gray, sandblasted stainless steel with a matte black ceramic bezel is a testimony to its dynamic spirit and technical elegance. The watch’s performance is also reflected in the masterly crafted black dial. The middle stratum, which covers the center and the periphery of the dial, and the chronograph counters are embellished with fine circular striations. Accents in red contrast with the sporty black color of the dial: the red gasket below the sapphire crystal perfectly matches the red of the chronograph hand and the highlighted five-minute markings. The leather strap, crafted in the Montblanc Pelletteria in Florence, is as stylish as it is functional. Made of Montblanc Extreme leather – a high-performance material of specially treated cowhide with a carbon-look texture – it offers heightened resistance to heat, scratches and water. The aesthetics of the Oyster Perpetual models set them apart as symbols of universal and classic style. They embody timeless form and function, firmly rooted in the pioneering origins of Rolex. The simplicity of an original. Rolex uses 904L stainless steel for its steel watch cases. 904L is mainly used in the high technology, aerospace and chemical industries, where maximum resistance to corrosion is essential. A superalloy, 904L is extremely resistant and highly polishable. It maintains its beauty even in the harshest environments. The Oyster bracelet is a perfect alchemy of form and function, aesthetics and technology. First introduced in the late 1930s, this particularly robust and comfortable metal bracelet with its broad, flat three-piece links remains the most universal bracelet in the Oyster collection. For the Oyster Perpetual models the Oyster bracelet is fitted with an Oysterclasp. 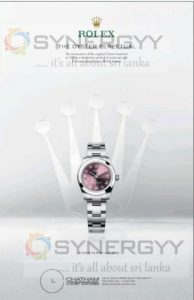 Calibre 2231 is a self-winding mechanical movement entirely developed and manufactured by Rolex. Like all Rolex Perpetual movements, the 2231 is a certified Swiss chronometer, a designation reserved for high-precision watches that have successfully passed the Swiss Official Chronometer Testing Institute (COSC) tests. Its architecture, in common with all Oyster watch movements, makes it singularly reliable. Sri Lanka Bandaranayke International Airport has very few Duty free shops in Arrival Terminal; here are the BIA Duty Free Shop Contact Numbers for your Product inquiries and reservations. Are you returning to Sri Lanka? 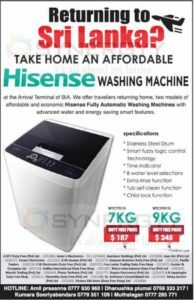 Take home an affordable, here the Hisense Washing Machine at the Arrival Terminal of BIA. We offer travellers returning home, two models of affordable and economic Hisense Fully Automatic Washing Machines with advanced water and energy saving smart features.